Hulu Tamu Hotsprings lies in the Batang Kali forest, off the main road. 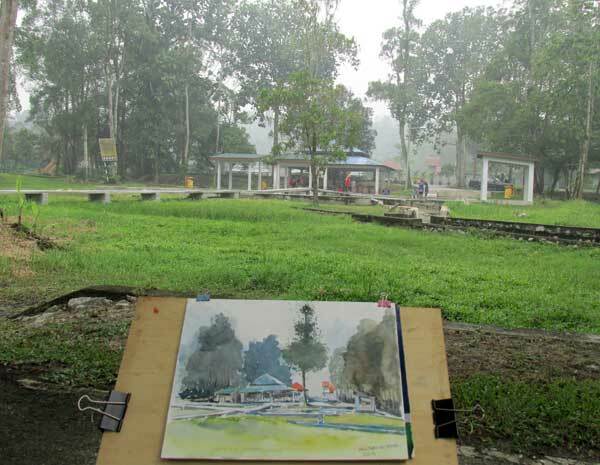 DEEP in the heart of Bantang Kali, some six kilometres off the old road to Kuala Kubu Baru, lies the Hulu Tamu Hotsprings. The hotsprings is a popular haunt among locals and weekenders who know how to get there. It was rumoured that the hotsprings’ waters have medicinal value. The Hulu Tamu hotsprings, which is believed to have undergone a RM100,000 upgrade early this year, has three shaded gazebos and three pools. The waters in the two smaller pools are very hot, especially towards noon, while the biggest one is lukewarm. There is a canteen at the far end of the pool but choices are limited to bottle drinks and some food. 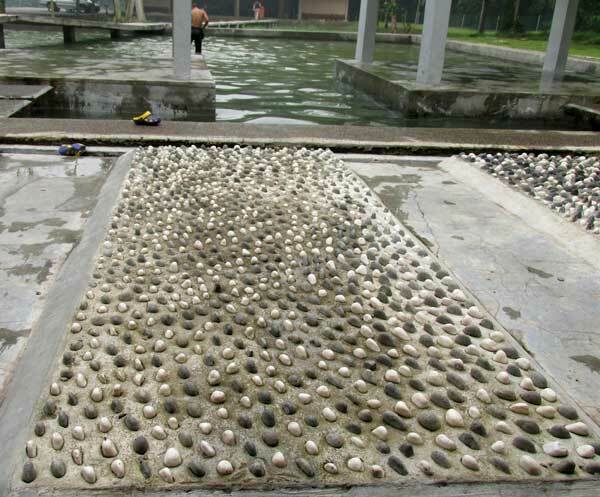 The pebbled path for those who want some foot reflexology. The hotsprings area is surrounded by tall trees with thick foliage, making it shady spot for picnickers. 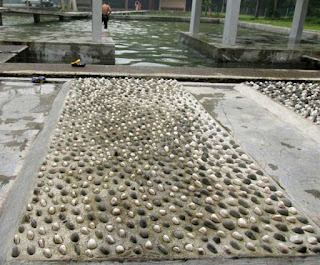 There are also short pebbled paths beside the main gazebo that visitors use for foot massage or reflexology after soaking their feet. There is a small car park at the entrance to the hotsprings and a few more parking lots beside the canteen. According to a local I met there, the hotsprings area has been fenced up and rumours have it that the local council would soon be charging a fee for entrance. It is not known if the pool is open 24 hours as there was no signboard or a security post. Adjacent to the hotspring is the Cholo-cholo Resort and Restaurant, a privately operated establishment that is also quite popular with holiday makers. I found Hulu Tamu hotsprings by accident while heading to Kuala Kubu Bharu to escape the recent haze. Having spotted the signboard near Batang Kali, on the KL-Ipoh old road, I decided to take a detour to seek it out. My GPS device did not show its location but you may use Waze as there is an entry of the location. Network connection in the area is erratic, however. I painted this scene from the canteen parking lot, armed with mosquito repellent to keep the big variety of insect at bay.